Is it possible to decorate the home stylishly and make it family friendly too? In a simple word, yes! Just because you want to add some pizzazz to your home does not mean you have to do away with having a space for the whole family. All family members including children need space just like you do. Decorating is not always about how mature your house looks. It’s about how well you work with contrasting features, and one idea for great decorating is for each room to have an interesting focal point, usually opposite the largest piece of furniture in the room. 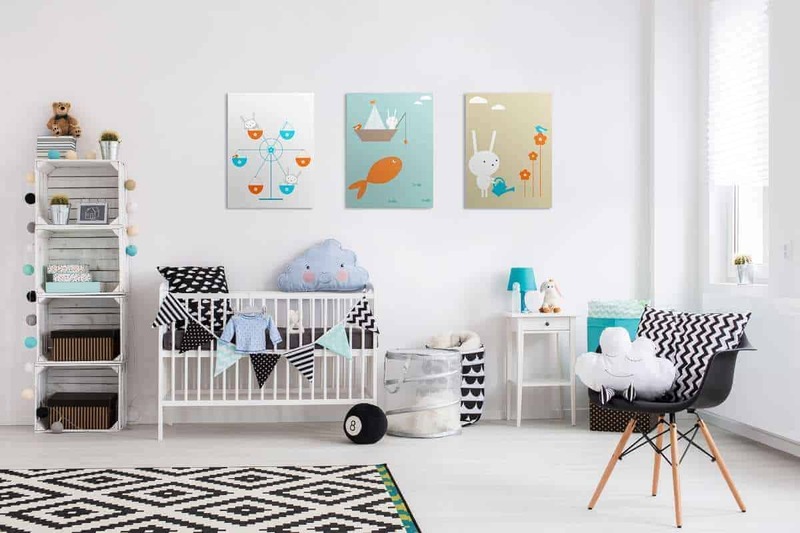 Here are some interesting, child-friendly focal points that you can use to really add some wow factor to your home. Whilst most people think of the coffee table as a functional item and would probably just choose the sturdiest wooden one, they can actually be fun focal points for your living room. The idea here is to add a pop of colour to the room. Think of a bright, fuschia pink coffee table complimented by a lime green wingback chair in an otherwise dark room. That is certainly a statement piece. If you want to include the whole family, take your current wooden table, and have the little one’s help you paint it your new, fun shade. They will appreciate it too then. Or you could make your coffee table a tribute to your family. Screen print fun family pics and place it on your table with a plexiglass top to hold down the screen. If you really want to have a talking point, and are good at woodwork, (or know someone that is!) try to recreate a fun, mixtape coffee table. Another stand out coffee table is a cut out of continents table. It will add a completely suave look to the living room, whilst being child friendly and fun at the same time. Another way to create focal points in a room is to create a focal wall. Whilst most grown-ups will go with an interesting wallpaper, here is an idea that the will make your children feel automatically included. It’s perfect for that spare wall in your kitchen, or bare wall in your entrance of living room. Take all the larger pieces of artwork done by your children, from drawings and paintings, to paper mache chickens, and create cubed wall shelves along the whole wall. Paint the wall a shade that is complementary, but bright and stick the pictures into various frames, put the objets d’art from your little ones on the shelves, and in the dead centre why not put in a great big glass fish tank? If running the pump and cleaning the tank are too difficult to incorporate into the look, put in a glass tank and place fish that need no oxygen to live, such as a lovely Siamese Fighter fish or Zebra Danios? Alternatively, if you have hamsters, their cage can take pride of place on the wall. This way you can also teach your children the responsibility of taking care of the fish or hamsters by feeding them every day, whilst incorporating their creativity into the room. These create an instantaneous interesting effect. However, you may be thinking of all the drawbacks that go into installing one. That is no longer a problem. Although wood-burning fireplaces are truly magical, they require a lot of effort to clean and maintain, not to mention install. Rather go with an ethanol fireplace.These can be bought and are portable. They can also be safely held within a glass frame to prevent children from burning themselves on the fire. You could install one in the middle of your family room for deluxe warmth, and cosy fireside enchantment. All you need to do is fill them with ethanol and light. Another option is a gas fireplace.These can also be safely guarded from children. The only drawback is that you would need to connect them to the gas system in your home. However, it saves you having to refill their fuel on a regular basis. Keep in mind that you can decorate your fireplace too, to make it more focal. Hang fairy lights around it, or Chinese New Year lanterns which you can make with your children. Alternatively, if your fireplace is wall mounted, paint a block of colour around it to box it off, and get the family to decorate it with their handprints dipped in paint in an opposite, but complementary shade. This is sure to make your fireplace stand out. There are endless ways to bring contrast and interest into your home. Just always keep your little ones in mind with design ideas and you can have a stylish, yet family friendly home with a few simple changes.